Yvette’s science credentials are quite impressive, and as such, her knowledge of the field means that this meme makes perfect sense to her. It also makes sense to me, despite my lack of such credentials, because as an ardent skeptic, I’m an avid consumer of medical science, helping me to understand the argument potentially more than most. But for many who aren’t so interested in science and medicine, especially those who are somewhat naturally distrusting, the left cartoon seems to have merit. However, I’m hoping that if I can walk you through some of the knowledge I have, and apply a little skeptical analysis, we can pretty easily dismiss this meme almost entirely—so let’s begin. The argument put forth is based on the premise that treating ongoing cancer is much more profitable than curing it, and thus big pharma suppresses the cure for increased profits. But if this were true, then big pharma would never spend the millions, if not billions that it takes to find a cure in the first place. Because if they did spend such money to find a cure, suppressing it would mean a total loss. So either they would spend the money and bring the cure to market to get a return on investment like all businesses do, or they wouldn’t spend the money to develop the cure in the first place; instead spending that money elsewhere, or pocketing it like the “greedy bastards” so many want to assume they are. But spending the money, then refusing a return on the investment, is an obvious catch-22 that makes no sense. Point #2 – There is no one “Cancer” species to cure. 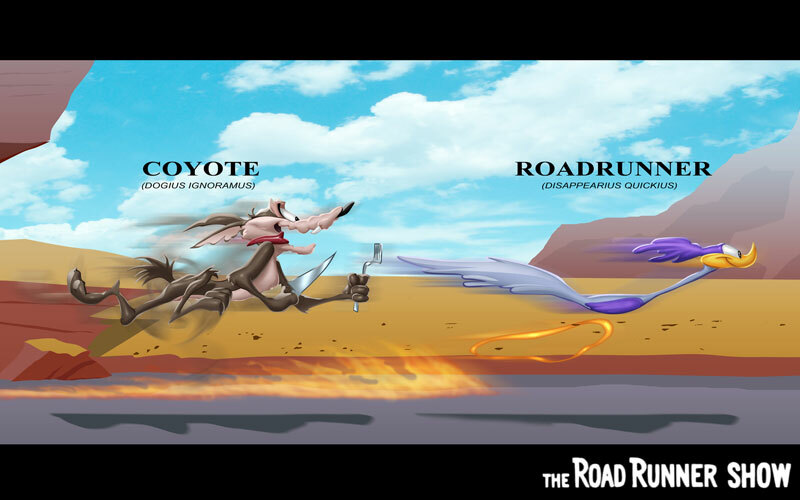 When people talk about curing cancer, it is said as if cancer is one singular species, similar to mankind’s Homo Sapien or the Road Runner’s Disappearius Quickius. But nothing could be further from the truth. Cancer is a mutation of a person’s cells, that then becomes its own unique organism living inside that person and feeding off of them. To severely simplify this, imagine DNA is like binary code, a series of ones and zeros. It’s actually quadratic, adenine (A), cytosine (C), guanine (G), thymine (T) are the four choices. A always pairs with T and C always pairs with G, leaving AT, TA, CG, and GC as your four options because while there’s only two pair combos, their reverse is a different option. That code is like a road map of sorts that tells all the stem cells in your body what to become as they replace the cells that naturally die off. If this imaginary DNA were a 4-digit code (It’s actually more like 3-billion digits) of 1010 for instance, then all the cells in your body should all have that same 1010 code. Now imagine if one of those cells mutates and changes its code to 1011. In many instances, it would just die because it’s a bad code that can’t sustain life. But occasionally, it is in fact good enough to become viable to live as a new mutant entity. That entity may then begin replicating into a bunch of cells that have that new mutated 1011 code instead of the 1010 code they should have. Going back to my road map analogy; that code error is akin to your road map now showing roads that aren’t there or missing roads that are. This new mutated entity that stops producing new cells for you, and instead becomes its own life-form that feeds off of you is cancer. Click here and/or this wonderful post from Dr. Michael Wosnick here for much more detailed, accurate, and nuanced explanations of this. As such, no two cancer strains are likely to be alike in the same way similar species of animals or plants are that inherit their DNA from parents. As this 2013 article points out, we know of at least 200+ different types of cancer and counting. So with all that being said, it’s important to understand a treatment that kills one cancer, is highly unlikely to kill all of the others; making the idea that there is one cancer-cure-all, almost entirely implausible. There are several pharmaceutical companies, research hospitals, and science universities working on cancer research, typically focusing on one of the aforementioned 200+ known types. Often, the people doing the research are employees of the company, and aren’t just one person stuck in a lab. It will be a team of researchers/students, all who took up biology, in many cases, to specifically find a cure for cancer. So in order for this conspiracy to be true, we’d have to assume that the literally thousands of researchers, who probably don’t own the pharmaceutical companies and have no financial interest in suppressing a cure, would have achieved the one goal they hoped to, which was quite altruistic, but then became sociopaths who hid it away from the world in a malicious attempt to profit from the misery of others. I suppose it is possible that big pharma somehow defied Point #1 above, and then either added the felony of murdering any employee who found such a cure to the dumb things they did, or added the additional expense of paying those researchers off, adding more to their loss mentioned in Point #1. But either scenario simply bolsters the Catch-22, making it even more illogical. I’d also like to add that if Bill Clinton couldn’t silence one frisky intern with the might of all the US Government agencies on his side, how is a pharmaceutical company going to silence hundreds, if not thousands of researchers? Point #4 – There’s actually multiple cures for cancer already on the market. This one is so obvious and simple, it’s a shame it’s completely overlooked. Do you know someone who was diagnosed with cancer, and through treatments like chemotherapy, surgery, embolization, etc., are now in remission? I know many, including my father. Each one of them received an effective cure, which is why they no longer have cancer. There may not be one treatment that cures all cancers, but that’s because of the premise I outlined in point #2. So there is in fact multiple cures for multiple cancers already. Instead, what researchers now work on, is finding more effective cures that are not only more successful at killing the disease, but also less harmful to the affected person. Because cell mutation will always occur, and therefore cancer will always exist, cancer can likely never be eradicated like the black plague or small pox were. So there is plenty of money to be made in a cure. If drug companies lost money from such a cure due to decreased demand, they could easily move to treat other diseases or conditions to replace those lost profits with their humanity in tact. If I ignore the big conspiracy in Point #3, it’s still important to remember that there are a lot of drug companies, research hospitals, and science universities out there. We’d still have to assume that these companies, who are trying to beat each other in the free market, all put aside their differences, secretly met in some clandestine office, then suddenly worked together to not release a cancer-curing product that would sell to anyone with the cancer it treats, and harm people in such a brutal way. These people are in business to make a profit selling medicine, and beat their competition. Suppressing it would only help their competition. Point #7 – Where are the in-betweens? This conspiracy assumes that big pharma is making a fortune just treating people’s cancer without curing it. But most people who get cancer either receive one of the aforementioned cures from Point #4, or they die somewhat quickly after diagnosis. Rarely do people live a long time with a diagnosed cancer. No one treats someone who is dead, so if people die, there’s no money to be made off of them. But if big pharma does cure them so they live longer, they’ll likely catch some other condition down the road that big pharma can also treat. So the money is not in suppressing a cure, the money is in helping people to live longer, so they need more conditions to be cured in the future. These seven points are by no means all the reasons why this conspiracy makes little sense, they’re merely the ones I was able to come up with in literally two days of thinking about this subject. Plus, I’m well over my 1,000-word count I usually try to maintain in these posts. So I hope that going forward, instead of assuming the worst in people whom you neither know nor understand their work and their motives, you think skeptically as I have, and allow yourself to believe that people are indeed mostly good. Biologists who took up the cause of curing cancer, are in fact working honestly towards that goal every day, there’s little reason to believe otherwise. If one of those “Big Pharma” people got cancer would they rather die than expose the cure? Your reasoning is well laid out some people go for simplicity rather than tire their brain. It also doesn’t take into account the fact that a lot of countries have socialised healthcare where the cost is footed by the government. As a result, they’re always looking for the cheapest way to handle a problem en masse. Said countries would never keep a patient on a treatment if a cure were available, and would this secret cancer cure really be withheld from all of Europe as well as many other socialised healthcare nations? The politician that exposed this conspiracy would be a frigging hero, it’d be a guaranteed reelection, and that’s what they’re all about. It’s very telling, then, that this conspiracy firmly has its roots in America, and its private healthcare system. I just made the same point in the comment thread on Facebook. More western countries have socialised medicine than do not, so it’s not a realistic scenario to have governments happily dipping into the purse of the country to finance this sort of shenanigans. It’s not worth it in every other country, even if it could be seen to be somehow worth it in the States. I live in the UK, where the NHS is indeed looking to save money where it can. You might be surprised how popular the big pharma cancer cure cover up conspiracy theory is here. A LOT of my friends believe it, share Facebook memes and talk about bicarbonate of soda or alkaline diet “cures” and worse. Obviously they believe big pharma is so powerful that they are conning the NHS out of money and pulling the wool over the government’s eyes, or perhaps that the current government is getting paid off whilst simultaneously trying to run the NHS into the ground – a much more believable story. And don’t forget, Insurance is bigger than big pharm and spend billions each year treating, researching, and on prevention of cancer. This is a total loss of profits. If there was a “cure”, Insurance would insist, with the weight of the legal system (think vaccines) on everyone receiving the treatment. Although this article makes some interesting points it contains critical fails in reasoning and ends up avoiding the central point with it’s use of circular reasoning. Duplicitous use of the term “cure”… Is big pharma even looking for a “cure” or is it spending billions on creating drugs which they can sell in perpetuity? A “cure” would mean central and complete understanding of cytology, protein folding, and gene expression. A true “cure” would actually be a fundamental approach that could be used to “cure” every disease. Big business does participate in conspiracies… They learned their lesson and through lobbying bills have only changed their liability not their actions. When I take money from a group of people and figure out that I can force those peoples dependence on my services by sending most of that money back into the market to jack up the prices they would have paid without me those people don’t have a choice but to come buy insurance. I’ve used their collective purchasing power against them. We could go on but the central issue is clear. Ignorance of the pressures and effects of participation in a larger economic system. I’ve had several doctors, well-respected science websites, an award winning science podcast, and more, not only share this post, but tell me that I nailed it. Their credentials are well-known and understood. Yours however—not so much. Sorry, with no sources cited (I cited many in the post), nor any credentials you may actually have reputably cited, this argument you put forth that I have failed in my analysis has zero credibility. To all other readers. If you want to know what ignorance those of us who actually use science to come to proper conclusions are fighting to defeat, look no further than this person. In the process of research “very profitable temporary semi-cures” will pop up but these pop up any way through the process of stochastic tinkering.